The dishes of Greek cookery, in particular those that constitute its identity, are largely unknown to the broader public. 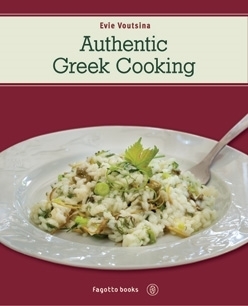 This is not the book in which to find the recipes usually contained in such publications, such as moussaka, stuffed vegetables or horiatiki salad, mainly because they are already well known and almost identified with a tourist's perception of Greek cuisine. 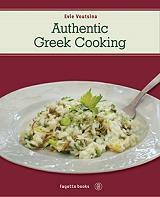 From the vast wealth of recipes I have recorded in the systematic research I have been conducting over the past fourteen years all over the country, I selected (with great difficulty, I have to admit) those presented in this book for their quality of taste as well as for what I consider to be their representativeness of the identity of Greek food. I call them authentic because they are not my own recipes, they were not concocted by myself and are transcribed exactly as I wrote them down. Wherever I have added something it is specifically mentioned in the introduction to the recipe. I have tried and tested them, cooking them over and over again, so that I am sure you will have no difficulty in making them.